Thirty six years ago the controversial one-child policy was the making of modern China - now it could be its downfall. Since 1979, China has exercised unprecedented control over the reproductive habits of more than a billion people. At the end of the twentieth century the one-child policy lifted millions out of poverty, and now the Chinese economy is on the verge of becoming the largest in the world. But is their colossal experiment in social engineering about to bring everything crumbling down? 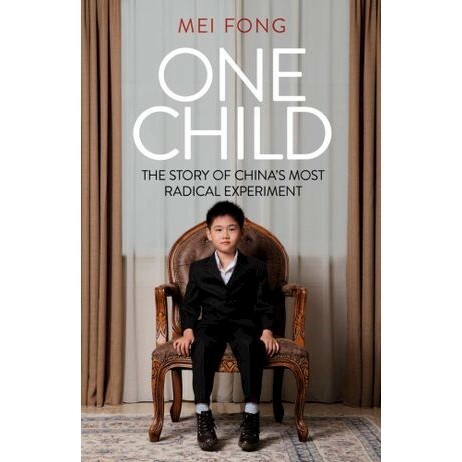 Combining personal portraits of families affected by the policy and a nuanced account of China's descent towards economic and societal turmoil, award-winning journalist Mei Fong reveals the true cost of the one-child policy. Drawing on a decade spent documenting its repercussions on every sector of Chinese society, Fong's candid account is an exceptional piece of on- the-ground journalism, both moving and disturbing. Mei Fong is a Pulitzer Prize-winning journalist who spent over a decade reporting in Asia, most notably as China correspondent for The Wall Street Journal. She is a winner of Amnesty's Human Rights Press Award, a 2013 recipient of a Ford Foundation grant for investigative journalism and a 2015 New America Fellow.